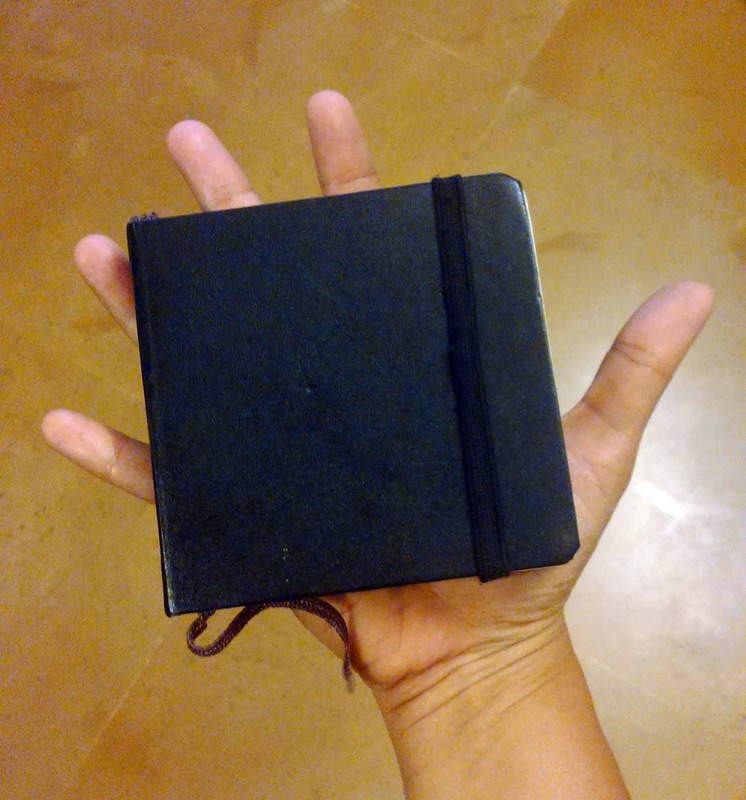 I have a pocket sketchbook that is so small that it frequently gets lost. I stumbled upon it this morning searching for something else and found that there was an entire series of sketches that I hadn't blogged. It was from a trip to Mumbai last November. 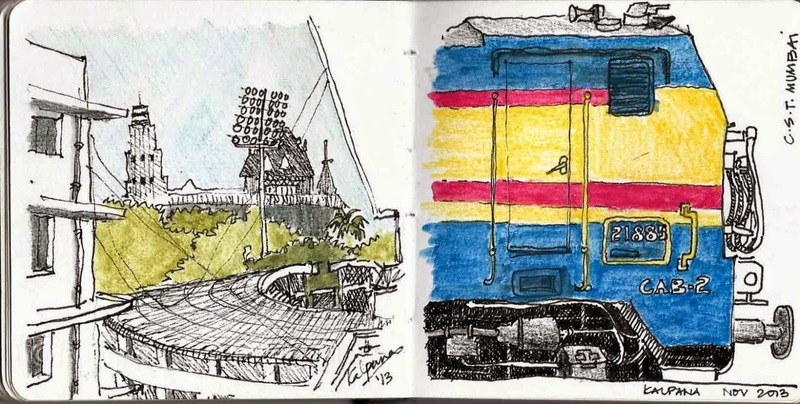 As I leafed through the sketches the memories came back clear and detailed and it struck me all over again, how lovely it is to sketch memories in a sketchbook. I prefer it to taking photos any day. Of course photos bring back memories if and when you go through all 40 GB of them, but with the sketch, even the making of it is a memory in itself. Our theatre group was travelling by the Mumbai Mail to stage a play "How to Skin a Giraffe" at NCPA and we were a big group scattered across two coaches. As we got in there were some people who recognised Rajiv and they turned out to be teachers from The School, KFI . It's always nice to meet and get to know people on long train journeys. In fact, we were on the train longer than we stayed in Mumbai. It was incredibly hot and humid for November but the route was quite beautiful. We also spent a lot of time in the stations because the entire set for the play was booked and taken in the brake van. And it was sad to note that the amount of unofficial looting that goes on at the Chennai Railway station when you try to book your parcels in was far far more than at Mumbai. This sketchbook is a great one to have. It's really tiny and compact but opens out flat so I can do doublespreads. You can check out some of my previous posts done in this book. Its my go to book when I'm hurried or travelling light or want to sketch unobtrusively and just capture memories. Its called a Brahmabook and I haven't spotted them around in a while. I hope they still make them. Lovely sketches! I especially like the ones of CST and the Marine Drive. To buy Brahmabooks online check out the store at www.brahmabooks.com .